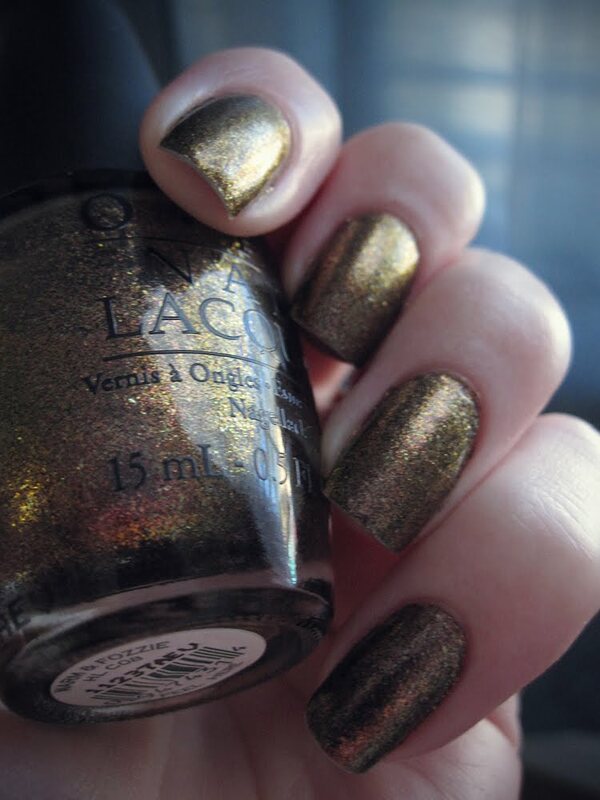 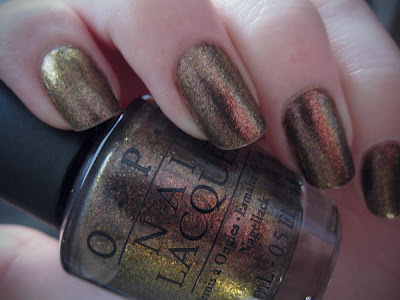 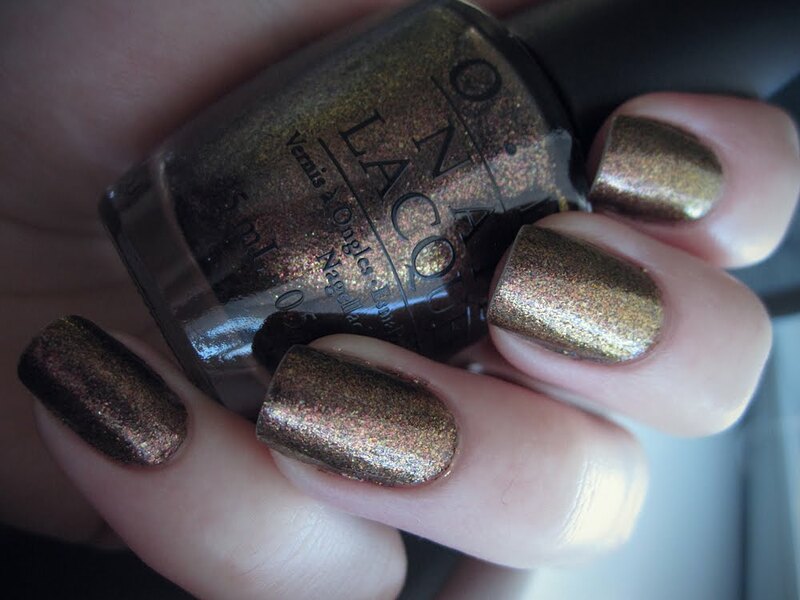 From OPI's Muppets collection, here is Warm and Fozzie-- a really gorgeous mix of bronze, olive, and rose shimmer. This is such a unique color with a great formula, though I did need three coats for full coverage. 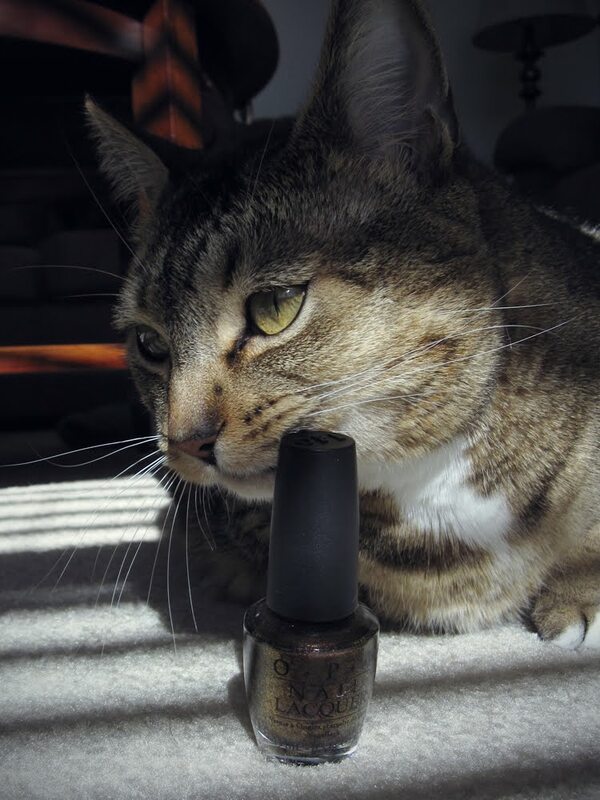 Warm and Fozzie has a very "Fall" feel to it, and also reminds me of my kitty's beautiful fur.